NEW YORK (Jan. 30, 2018) – Death Wish Coffee, a high-caffeine coffee brand based in upstate New York, has selected Padilla to create and execute a marketing communications program to drive its expansion into metro and western New York as well as New England and California. 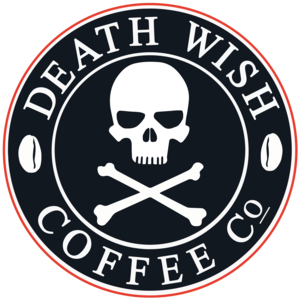 In 2012, Death Wish Coffee Co. was born in a small coffee shop in Saratoga Springs, NY. In 2015, the company, known for brewing the ‘World’s Strongest Coffee,’ won Intuit’s Small Business Big Game competition resulting in a 30-second Super Bowl ad. Most recently, Mike Brown, Death Wish Coffee founder and owner, was named EY’s 2017 Entrepreneur of the Year for Emerging Business in New York. Death Wish Coffee produces the World’s Strongest Coffee using a combination of the strongest Robusta and Arabica beans and a tailor-made process to ensure perfect roasting. Founded in Saratoga Springs, NY, in 2012 by Mike Brown, Death Wish is committed to sustainability in all its products and uses USDA-approved processes to produce high-quality organic and fair-trade beans. Today, thousands of people trust Death Wish Coffee to wake them up and keep them going every day.